Is democracy dead in Milton Keynes? 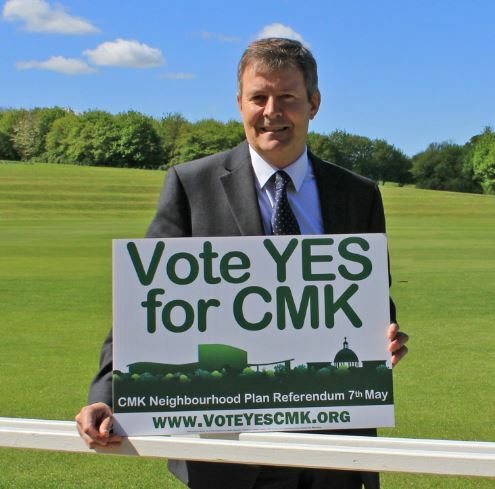 A handful of Milton Keynes Councillors, “pushed” by supposedly neutral officers, have just shredded the most ambitious Neighbourhood Plan in the country – less than 100 days after it won a historic, landslide vote at a public referendum. Despite town planners, town councillors, business leaders and local people urging MK Council to ‘Stand by the Plan’ MK Council has failed the public at its very first test. If democracy isn’t dead in Milton Keynes it’s certainly on life support! 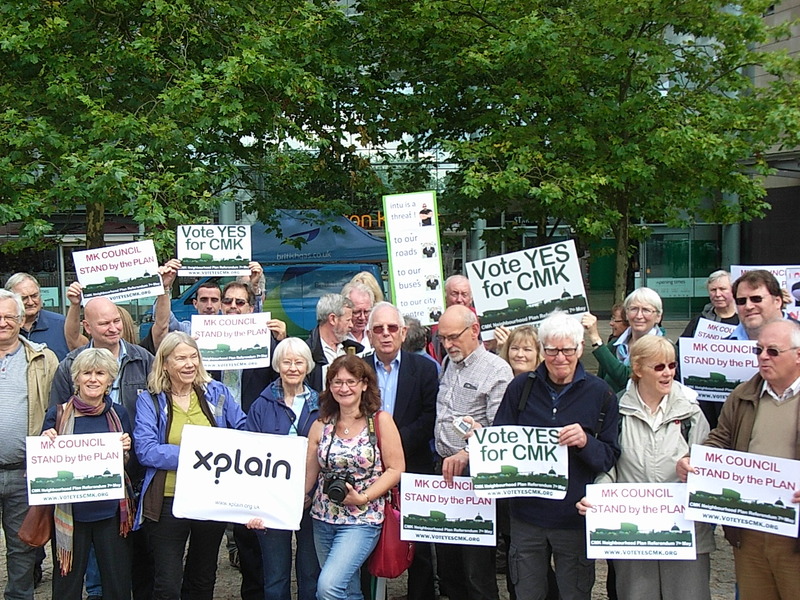 The crisis has been triggered by a rogue planning application by retail giant ‘intu’ to build over public open space and infrastructure that is clearly protected in the CMK Business Neighbourhood Plan. Even though intu could have built their new shops nearby, without flouting the CMK Plan, they lobbied hard and got their own way. This amounts to a land-grab, which slashes public rights of way and space set aside for a new public transport route by 40%. Only two councillors, John Bint (Conservative) and Chris Williams (Lib-dem), stood by the Plan and voted against intu’s proposals. The others betrayed the trust of 90,000 people and nearly 400 businesses who voted ‘Yes’ for the Plan and for a decent, joined-up development strategy that would have brought thousands of new homes and jobs to Milton Keynes. No neighbourhood plan in the entire country, let alone in Milton Keynes, is worth the paper it’s written on. No public open space, green or otherwise, is safe from infill development. And MK’s unique, master-planned city of trees is once again open to attack from poor, short-term, piecemeal development, whether for housing, retail, offices or leisure. Business leaders who voted for the Plan are reportedly dumbfounded. As for local volunteers – who trudged miles delivering 35,000 information leaflets in the run-up to the referendum – their trust in the government’s promise of ‘local plans for local people’ has been betrayed. And the contagion is spreading. Campbell Park Parish Council has called an immediate halt to producing their own Neighbourhood Plan and other parishes may follow suit. – makes all Neighbourhood Plans everywhere pointless. The Council’s actions are a breach of public trust among the 90,000 voters, like me, who believe in local plans for local people. UPDATE: The decision was called in, and an independent planning inspector is holding a public inquiry at Christ the Cornerstone Church, CMK, from 6 – 13 Sept. Contact Xplain for more info. This entry was posted in General and tagged Central Milton Keynes, destruction of CMK, Milton Keynes, MK City of Trees, MK Council, Open green space, trees at risk in Milton Keynes, Urban Planning in Milton Keynes on September 14, 2015 by xplain. How disgusting!! Have just sent your suggested email to the SOS…. I have already lodged my objection and circulated the news widely. I am absolutely appalled at what has happened. First infinity edge pool. Sadly lost in 2010, just before English Heritage listed the building.